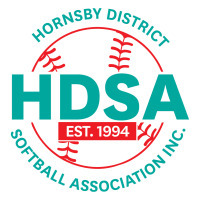 Welcome to Hornsby District Softball Association! To view the latest news, click here. Our 2018/19 season starts on Saturday 8th September. Register with your club now! Our home grounds are at Hayes Park, Galston with two fully fenced senior diamonds and a large amentities block. And, a range of senior divisions - from the competitive A Grade to social (but still competitive) C Grade. Our Representative Program has been very successful over the years with championship titles across the U13, U15, U17 & U19 age groups. We are proud to have State, National and International representative players within our Association as well as coaches, umpires and statisticians at these levels.